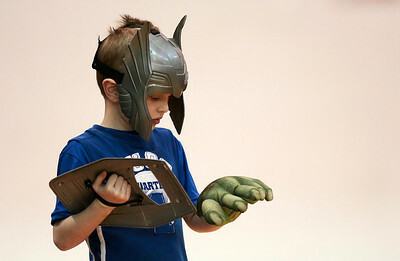 Kyle Grillot - kgrillot@shawmedia.com John Walz, 5, of Barrington takes a moment to look at his glove while cheering on Cary-Grove senior Devin McDonough during the second quarter of the basketball game Tuesday in Algonquin. 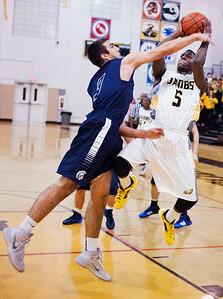 Jacobs beat Cary-Grove, 47-43. Kyle Grillot - kgrillot@shawmedia.com Jacobs junior Chrishawn Orange puts up a shot under pressure from Cary-Grove junior during the first quarter of the basketball game Tuesday in Algonquin. 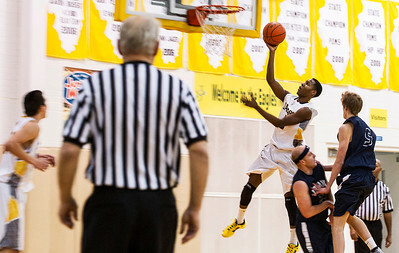 Jacobs beat Cary-Grove, 47-43. Kyle Grillot - kgrillot@shawmedia.com Cary-Grove junior Nick Bianchi (3) puts up a shot under pressure from Jacobs freshman Cameron Krutwig during the first quarter of the basketball game Tuesday in Algonquin. 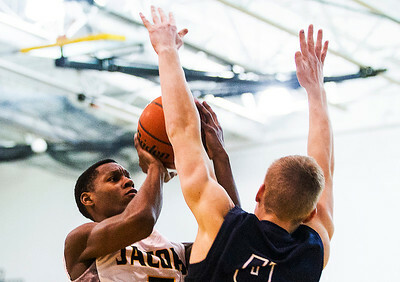 Jacobs beat Cary-Grove, 47-43. Kyle Grillot - kgrillot@shawmedia.com Jacobs junior Chrishawn Orange puts up a shot under during the first quarter of the basketball game Tuesday in Algonquin. Jacobs beat Cary-Grove, 47-43. 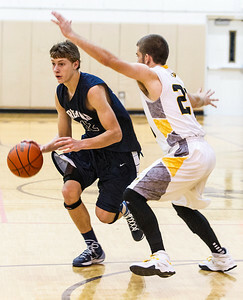 Kyle Grillot - kgrillot@shawmedia.com Cary-Grove senior Jason Gregoire (12) dribbles towards the net guarded by Jacobs senior Ben Murray (23) during the fourth quarter of the basketball game Tuesday in Algonquin. 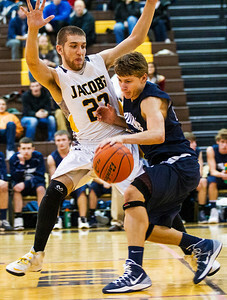 Jacobs beat Cary-Grove, 47-43. Kyle Grillot - kgrillot@shawmedia.com Cary-Grove senior Jason Gregoire (12) puts up a shot under pressure from Jacobs freshman Cameron Krutwig during the first quarter of the basketball game Tuesday in Algonquin. Jacobs beat Cary-Grove, 47-43. 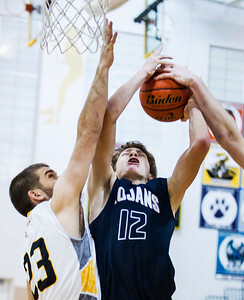 Kyle Grillot - kgrillot@shawmedia.com Cary-Grove senior Jason Gregoire (12) has his shot blocked by Jacobs senior Reilly Peltier (right), and guarded by senior Ben Murray (23) during the fourth quarter of the basketball game Tuesday in Algonquin. Jacobs beat Cary-Grove, 47-43. Kyle Grillot - kgrillot@shawmedia.com Jacobs junior Chrishawn Orange puts up a shot under pressure from junior Nick Bianchi (3) during the first quarter of the basketball game Tuesday in Algonquin. Jacobs beat Cary-Grove, 47-43. 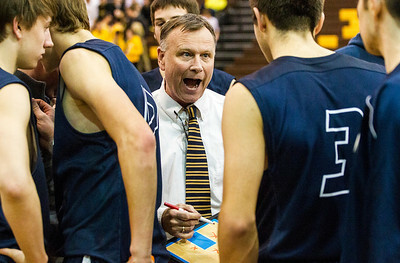 Kyle Grillot - kgrillot@shawmedia.com Cary-Grove Ralph Schuetzle talks with his players during a timeout in the fourth quarter of the basketball game Tuesday in Algonquin. Jacobs beat Cary-Grove, 47-43. 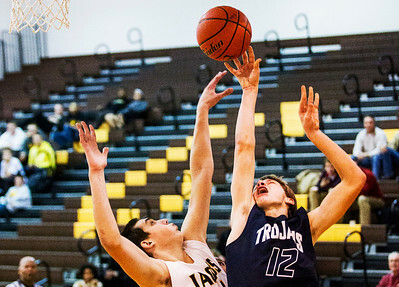 Cary-Grove senior Jason Gregoire (12) has his shot blocked by Jacobs senior Reilly Peltier (right), and guarded by senior Ben Murray (23) during the fourth quarter of the basketball game Tuesday in Algonquin. 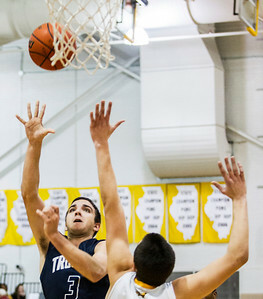 Jacobs beat Cary-Grove, 47-43.